League of Legends is a great game that is free to play. I have been playing for almost a year now, and I don’t play anything else. 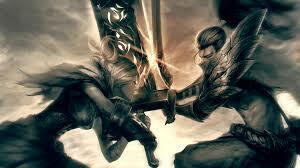 League of Legends (LoL), is a part of the ever popular MOBA (Multiplayer Online Battle Arena) genre. It is a top game worldwide with servers in Korea, Southeast Asia, North America, South America, China, and more. Once registered, you can begin playing immediately. The lore is pretty good for those who are into a good story, and the game is relatively balanced. There are over 110 characters to play as and against. You can play with your friends, or play with strangers. There are levels of difficulty to this game, with strategies and varying mechanical requirements. To make it even better, LoL doesn’t even require much from your computer! To begin, visit https://signup.leagueoflegends.com/en/signup/index. If you want to add me once you get started, my IGN (in-game name) is “The Grisly Bear”.